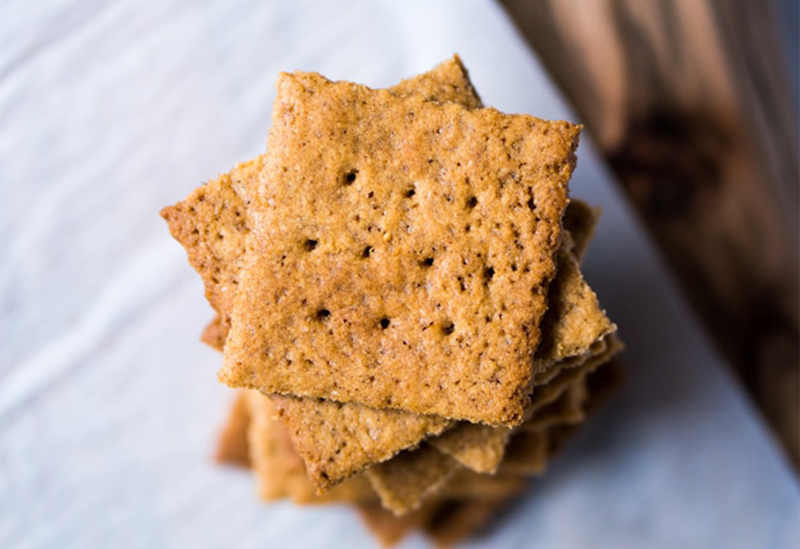 These delicious and versatile crackers can be made per your liking by just changing up the spices. Snacking on keto just got so much more interesting! Note: Don’t have an oven? These crackers crisp up well on a pan as well. Whisk together the egg, cumin powder, carom seeds, red chili flakes, and salt. Place the dough onto a sheet of parchment. Pat it out with your hands, and top with an additional piece of parchment or plastic wrap. Roll the dough out to about 1/8″ thickness; it should be about 10″ x 12″, or larger. Remove the top paper, and cut 1″ squares. Move the cut crackers, along with the parchment paper, to the baking sheet. Bake the crackers for 14 to 16 minutes, until they’re light golden brown. Cool the crackers completely before transferring them to an airtight bottle and store it at room-temperature for upto 10 days. 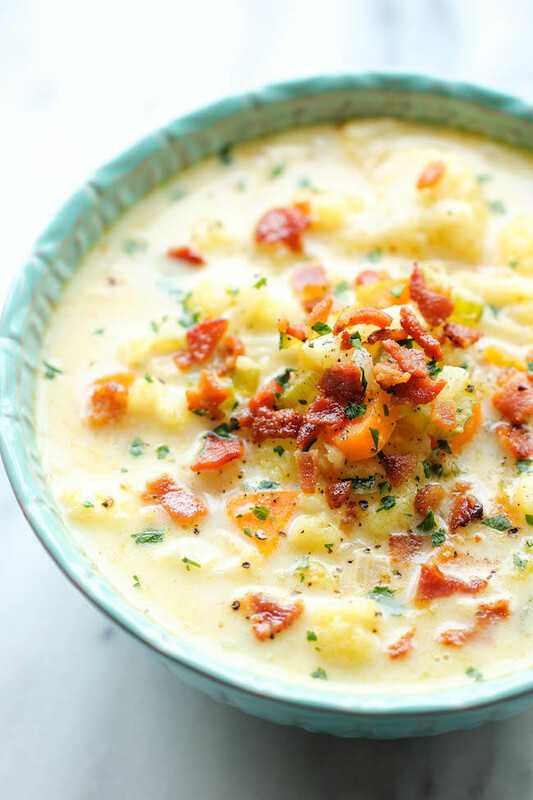 This Cauliflower Soup is easy, delicious and just needs few ingredients. Have this stew with a Low Carb Almond Roti or just on its own as a soup. Boil one cup of water and add salt. In a blender grind mint leaves, green chilly, ginger with little water. In a pan heat olive oil, add mint chilly paste and saute it for a minute. Add cauliflower and saute for one minute and add coconut milk and bring to a boil. In this recipe, we have replaced traditional flour with Almond Flour to make this keto friendly. 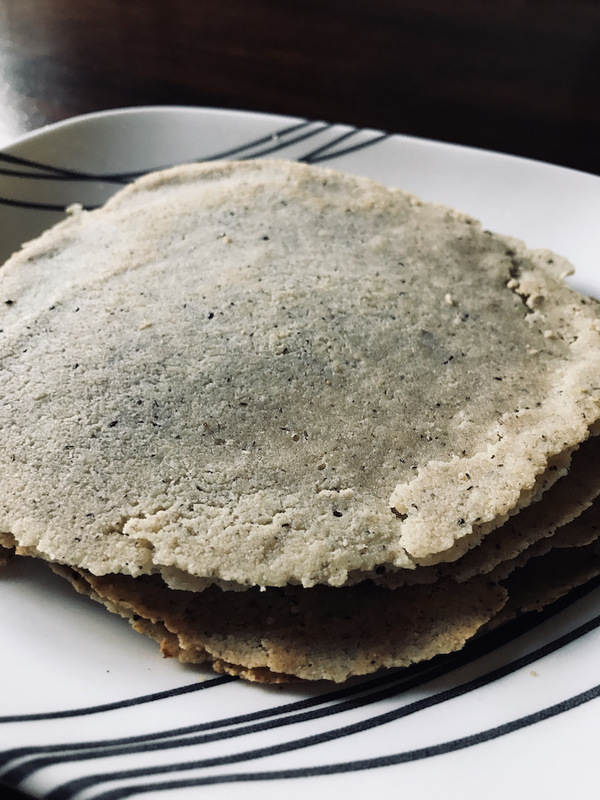 Adding psyllium husk and healthy fats to the almond flour, makes this roti absolutely delicious. Remove one of the parchment papers and transfer the other paper with the flattened dough to a hot pan. 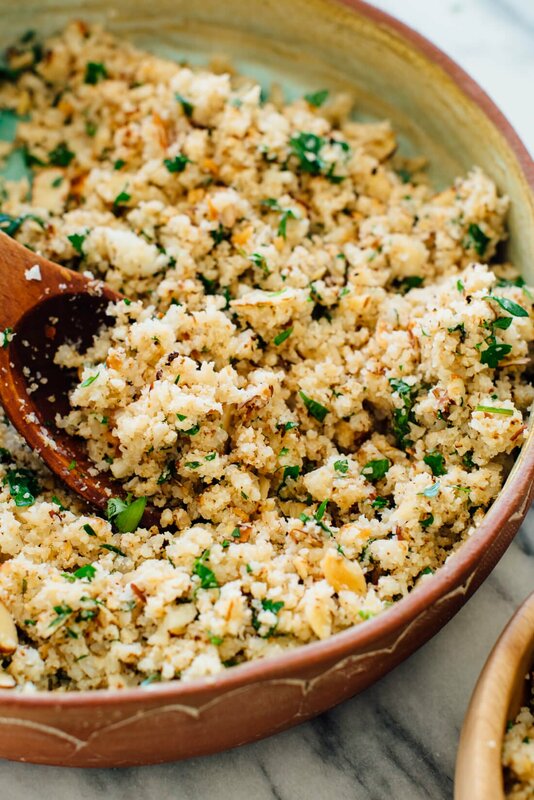 Keto Cauli ‘rice’ is an amazing combination of spicy flavors and mouth-watering textures. When served with raita, it makes a complete meal in itself. Eat it while its still hot! 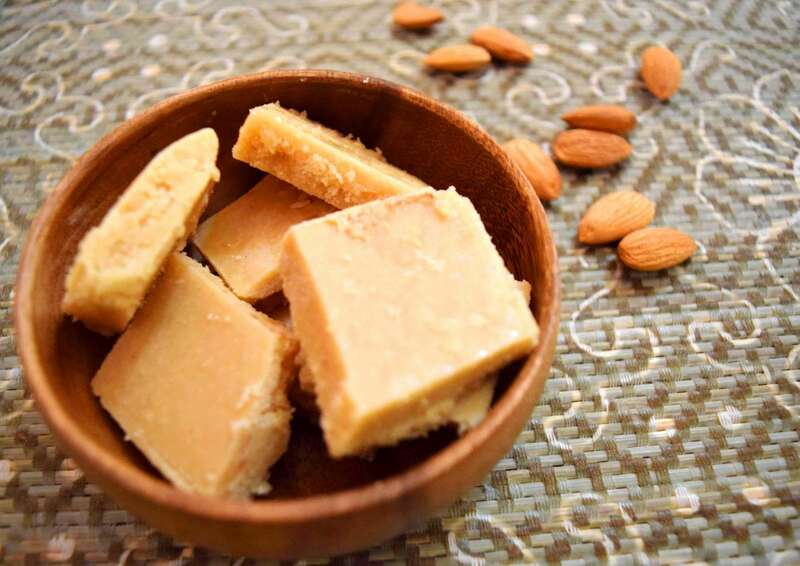 Almond Barfi is traditionally made of almonds, sugar, ghee and cardamom powder. Here we have replaced sugar with a Keto approved sweetener, Swerve (which is 0 carbs), and the outcome is just as finger licking good like the original version. This mouth watering dish can be served as a dessert or snack and can be eaten guilt free. In a saucepan, add the sweetener and water and bring it to a boil. Simmer and let it boil for 3 mins. Note that you will not be able to do the ‘one thread consistency’ test with swerve. Add the almond flour,cardamom powder and saffron and keep stirring for 3-4 mins till the mixture becomes a dough like consistency and leaves the sides of the sauce pan. Smear your hands with water and test by rolling a small pinch of the mixture in between your fingers. You should be able to form a non sticky ball. This is the correct consistency. Remove the dough from the saucepan and knead it for 1 min using a spoon to make it smooth. 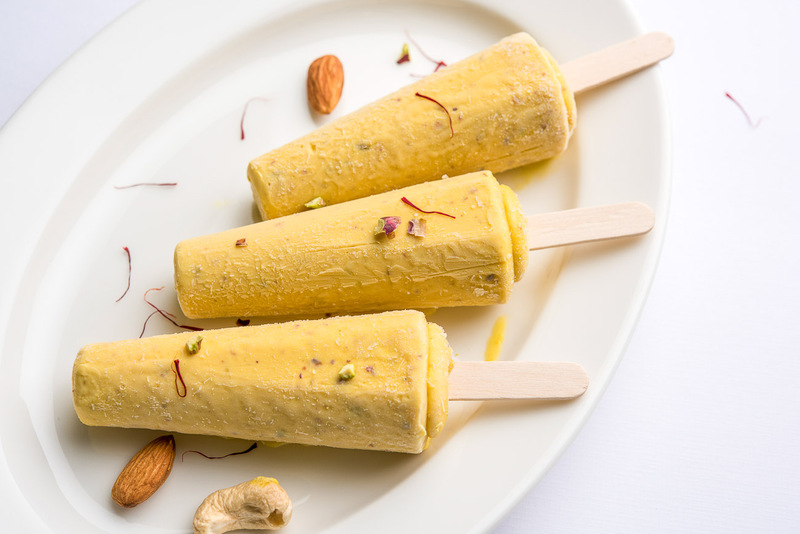 This is a simple but delicious recipe for Kulfi (Indian Ice Cream) that we have adapted to make it healthy. Here we use greek yogurt/hung curd as the base instead of milk which makes its extra creamy. For extra flavor, you could add a few drops of rose water or ground pistachios. Combine greek yogurt, swerve and cardamom powder in a bowl. Add saffron strands to 1/2 tsp of hot water and stir it around. Mix in the saffron, blended nut mixture and rose water to the yogurt mixture.